After once again grabbing headlines this past weekend after deleting her Twitter account and leveling some harsh (yet arguably well-deserved) criticism at the 'urban media' and the all-encompassing 'rap game", the ever-growing enigma that is Azealia Banks is back with a new song to temporarily shift our focus back to her music. Banks' new Machinedrum-produced cut "Aquababe" will be included on the vocalists' forthcoming mixtape, Fantasea. Despite openly shedding her previous appellation as a rapper and the apparent baggage and limitations that come along with it in her recent address to the media and fans via Tumblr, the 21-year old Harlemite can be heard spitting bars on her latest cut. As Banks moves forward with her career and strives to focus on being a 'vocalist' one has to wonder, have we seen and heard the last of the "212" Azealia Banks. Only time will tell. 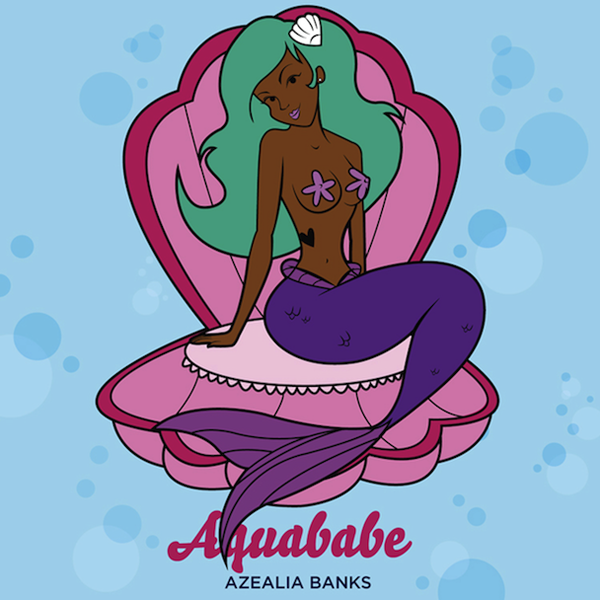 Azealia Banks' EP 1991 is available for digital download and for purchase as a physical CD and on vinyl. Also her upcoming mixtape, Fantasea is due out July 4.